Transforming tension, stress and exhaustion into deep states of relaxation and renewal. Treat yourselves to a transformative experience today and everyday! Contact me today to book your private BioMat session at my Vibrant Balance healing space. “The Fourth Treatment for Medical Refugees: Thermotherapy in the New Century” (83 pages). Learn how the Amethyst Biomat provides healing support during cancer treatment. 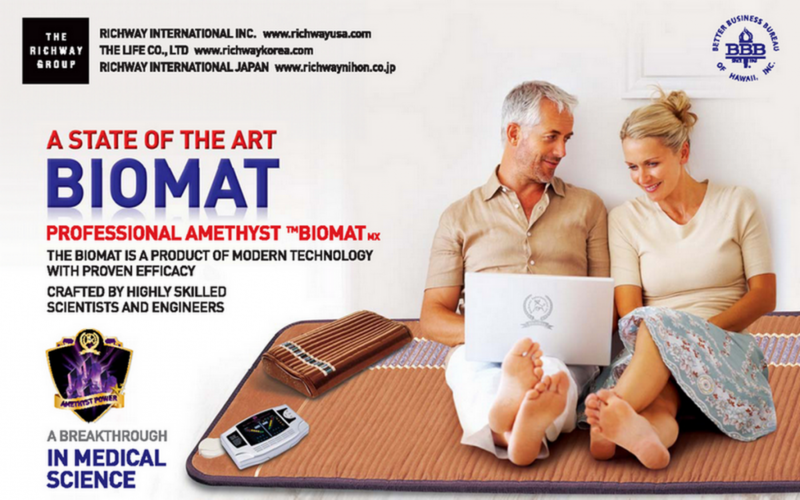 CLICK HERE to order your Amethyst BioMat now. Email me at angela(at)vibrantbalance.com if you are interested in purchasing a BioMat for your home or for your wellness practice. Distributorships available.